BUILDING on the comprehensive revisions made to the Alfa Romeo MiTo in 2014, when it received a revamped interior with a standard five-inch touchscreen infotainment system (plus TomTom satellite navigation on certain models), subtle exterior upgrades, more engine options and a higher level of standard equipment, the 2015 range has been further enhanced with two new trim levels. The new MiTo Progression makes owning a new Alfa Romeo more attainable than ever thanks to its low on-the-road price of £12,670, while the sporty new Junior (pictured above) recalls the legacy of the 1966 Alfa Romeo GT 1300 Junior – an illustrious predecessor which made Alfa Romeo’s legendary style and driving pleasure available to a younger audience by offering big performance from a small-capacity engine. It may be the new entry point into the Alfa Romeo range, but the MiTo Progression comes equipped with the high levels of features expected of a premium hatchback including air conditioning; a leather steering wheel and gear shifter and Alfa Romeo’s Uconnect five-inch colour touch screen infotainment system with Bluetooth; voice recognition; USB / auxiliary inputs and steering wheel remote controls. In terms of safety, the MiTo Progression is equipped with Vehicle Dynamic Control (stability, braking and traction control with hill-holder), TPMS (tyre pressure monitoring) and seven airbags, while its undeniable visual appeal is further enhanced with 15-inch alloy wheels, a rear spoiler and titanium grey headlight and rear light surrounds. The Progression is offered with a choice of engines including the insurance-friendly 78hp 1.4-litre engine, which is reintroduced with Start&Stop and EU6 certification resulting in an official combined fuel economy figure of 50.4mpg and CO2 emissions of 130g/km. The official 0-60 mph for the 1.4 78hp engine is 13.0 seconds and its top speed is 103 mph. The award-winning 0.9-litre TwinAir 105hp turbo petrol engine (67.3 mpg / 99g/km) and 1.3-litre JTDM-2 85hp turbo-diesel (80.7 MPG / 90g/km) engines are also available with the Progression trim level, priced from £13,770 OTR and £14,315 OTR respectively. 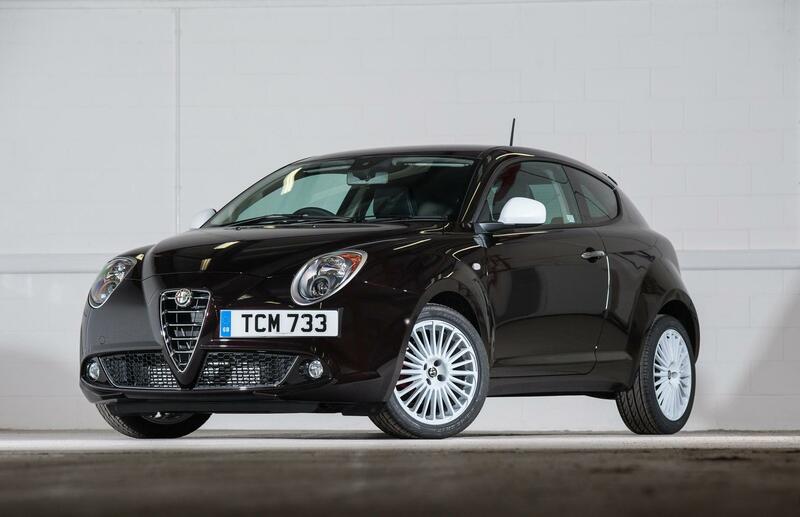 The new Alfa Romeo MiTo Junior aims to broaden the appeal of the MiTo range still further by offering stylish but attention-grabbing looks within an affordable and insurable package. It builds on the high specification of the Progression but adds 17-inch alloy wheels with a brilliant white finish as well as matching door mirror caps and distinctive new Junior boot decal, also finished in white. Other enhancements include front fog lights; a sports rear bumper and satin-effect door handles with matching headlamp and tail-lamp surrounds, while the interior benefits from special Junior upholstery, Junior floor mats and a flat-bottom sports steering wheel with contrasting stitching. Under the bonnet, the Junior is powered by the 0.9-litre TwinAir 105hp turbo petrol engine (0-60mph in 11.4 seconds / 114 mph) and 1.3-litre JTDM-2 85hp turbo-diesel (0-60 mph in 12.9 seconds / 108 mph) and is priced from £14,870 OTR and £15,415 OTR respectively. The MiTo Junior was inspired by the stunning Alfa Romeo GT 1300 Junior from 1966 which combined the gorgeous looks of the Giugiaro-styled 105/115 Series coupe with a small-capacity version of the legendary all-alloy Alfa Romeo Twin-Cam engine. Developed with Italian taxation in mind (which penalised larger engines), the Junior GT 1300 amassed 91,000 sales (accounting for 69 percent of all 105/115 Series built) and has become very collectable in its own right thanks to its purity and character, as well as the larger number of enthusiasts whose earliest Alfa Romeo memories are of that very car. This year is the centenary of when A.L.F.A. (Anonima Lombarda Fabbrica Automobili) came under the direction of entrepreneur Nicola Romeo who, following the end of World War One, eventually changed the name of the company to Alfa Romeo and ushered in an era of extraordinary technological advances and competition successes for the brand which remain an integral part of its identity to this day.